Four action packed quarter-finals on Saturday at Limerick Greyhound Stadium offered all the thrills and spills that one would expect of a Greyhound Racing Classic and with less than one length separating the four heat winners on the clock we are scarcely any closer to knowing the destination of our €80,000 winners prize in an epic renewal of the Con & Annie Kirby Memorial Puppy Stake. 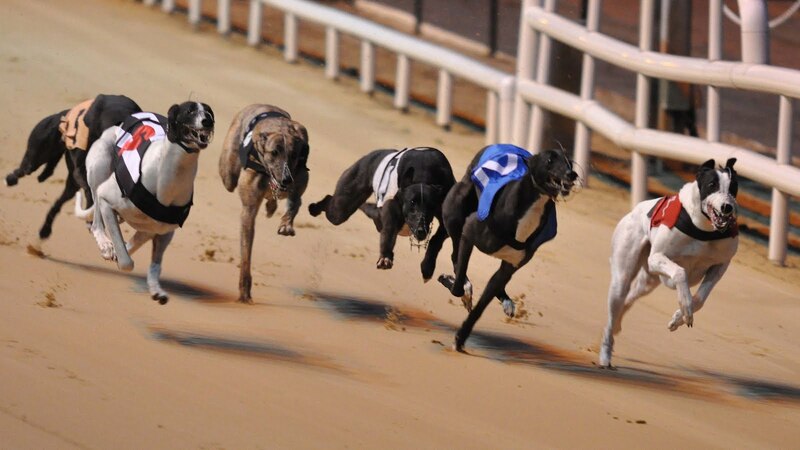 One thing we do know however is that this year`s event can lay serious claim to being the highest class puppy stakes in living memory and many of those eliminated from the quarter-finals can be expected to feature highly on the open race scene over the coming months and years. 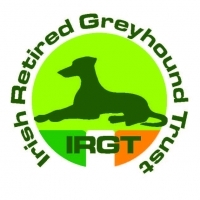 Sponsored by JP & Noreen McManus and named in honour of Noreen`s late parents, we must be grateful and consider ourselves lucky to benefit from their stalwart generousity and support of both Limerick and Greyhound Racing. Pic.1 The Viking loses his unbeaten record! Opening the action in the quarter-finals was Peter Cronin`s Crokers Champ when he again displayed a slick breaking ability coupled with smart early pace to lead by a length at the first bend with Vans Viking finding a clear path to his beloved rail from trap 5 to grab second place when cornering better than Jacks Ace in the stripes. The leader saw his one and a half length advantage reduced to the bare minimum as the Viking ranged upsides on the inside before the third bend but a game Crokers Champ stuck to his task off the final turn repelling a strong finish by Jacks Ace who relegated the previously unbeaten Vans Viking into third. This win represents a much better staying performance by the Cronin charge whose speed was never in doubt but he has now catapulted himself into outright contention, seeing out the trip better than he had previously managed for a classy 28.40 in a half-length victory. The big casualty here was the Joe Dunne Memorial winner Deanridge Pennys who forfeited his chances with a very tardy start when 4/5 favourite in trap 2. A treacherous looking heat 2 proved to be just that for some of the competitions leading hopes as Noel Hehir`s Ivy Hill Prince took charge in the early exchanges when returning to his best trapping form in trap 4 to just show in front of Gerry Holian`s Emers Superstar who used his early pace for a clear run on the outside. The pair had the race between them on the back-straight and it was the Holian runner who got the better of a protracted battle all along the home stretch for a half-length verdict in 28.38. Pennys Deanridge filled the last qualifying place with a clear run on the rail from trap 1, avoiding the traffic jam that put paid to Jaytee Seville who found himself last off the second turn following repeated balking. A battle hardened professional, trainer Liam Dowling could easily accept the elimination of his powerhouse Vulturi when denied a clear run from trap 2 but unfortunately worse news was imminent as he pulled up lame at the top of the back-straight, a 28.25 winner in the previous round we wish him a speedy recovery. Compensation was quick to arrive for the Dowling kennels when they guided the first two home in heat 3 as Green Prince in trap 2 and Adoremus in trap 4 dominated in the early strides with the former showing the best early pace to turn first before galloping impressively in 28.41 with a three and a half length winning margin. Adoremus showed a strong staying ability to regain second place from Inslips Dino who found a career best run when tracking the winner on the back-straight. The big casualty here was Barefoot Agent at 6/4 who did make a bold bid to qualify at the closing bends but just found those in front staying the trip too stoutly on this occasion. The column prediction of last week appeared to be materialising in heat 4 as Jetson just made the turn in front from trap 3 with Jackal Frampton doing best of those on the outside to track the leader into the back-straight. A moderate start from Boylesports Hero in trap 5 led to an early bump from his closest rival Sidarian Blitz in trap 4 before further contact entering the bend saw him shifted back to last place. A big collision between Sidarian Blitz and trap 2 runner Runaway Rover at this point put paid to their chances but somehow Boylesports Hero missed this traffic jam by what could only have been millimetres and he set off in pursuit of what appeared a qualifying place at best. What followed however was an awe inspiring display of raw speed from the Brendan Matthews tracker as he overturned a four length deficit even before reaching the closing bends. 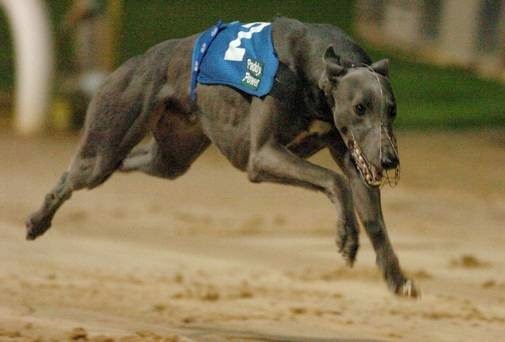 He gamely fended off a renewed effort by Jackal Frampton on the run to the line by three quarters of a length in 28.43 with Bubbly Gold just getting up to deny Jetson in a photo-finish for the last semi-final place. Seven of the twelve remaining runners have scored at least one heat win in the event but greater testament to the astounding strength in depth of this year`s renewal is that nine of the semi-finalists have bettered 28.50 during the first three rounds. Liam Dowling is the only trainer to be double handed at this stage following the heroics of Green Prince and Adoremus on Saturday but our semi-final`s feature some of the most prolific kennels in the sport along with newcomers to the big stage and all is in place for more scintillating action in the race for 80K. Outright betting: 7/2 Vans Viking, Boylesports Hero 5/1 Emers Superstar, Green Prince 11/2 Bubbly Gold 9/1 Ivy Hill Prince, Jackal Frampton 14/1 Crokers Champ 25/1 Jacks Ace 66/1 Inslips Dino, Pennys Deanridge, Adoremus. Pic.2 Now a wide seed, Jackal Frampton can benefit from his trap 6 draw!